Question: What could be better than a new Sleater-Kinney single? 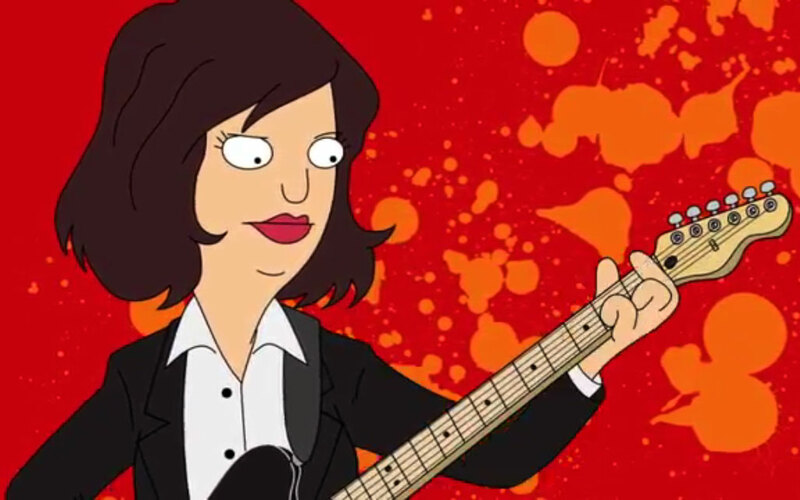 Answer: A new Sleater-Kinney single with a video set in the world of Bob’s Burgers, of course! I do love it when two of my obsessions overlap, so seeing the band rocking out in Tina’s bedroom as the Belcher kids danced around them gave me a full-on nerd-gasm! The only thing that troubles me now is trying to decide who has the best moves… Tina’s gentle pogo-ing is adorable, but Louise’s punch-dancing is pretty awesome too. Hmmm… I guess I’m going to have to call it a tie… or maybe watch the video a couple (hundred) more times, to make my mind up…? This entry was posted in Rants about Music, Rants about TV and tagged Bob's Burgers, Carrie Brownstein, Louise Belcher, Sleater-Kinney, Tina Belcher. Bookmark the permalink.